I’ve read with great pleasure most if not all the posts and thought I might contact. I’m working in “oo” scale but building a sort of logical extension to Basilica Fields. Mine is based on the Met Extension from the Ludgate Hill bridge down to the river, using Ludgate Hill as my station. At present it’s being dismantled prior to being moved to a larger room and will portray the inter war period. Reading your articles has motivated me to build a layout based in this area. Glad you’re enjoying the journal John. I remember you telling me about your Met. Extn. plans a couple of years ago. The whole of the inner London system is ripe for modelling – whether a prototype setting or a might-have-been. There were so many Acts and proposals over the years there’s little that seems beyond the realms of possibility or plausibility. When you’re back up and running I’d be interested to see some photos. Looks like I missed your June post, so have just spent a very pleasant time reading these posts and becoming aquainted with GER 2-4-2Ts. 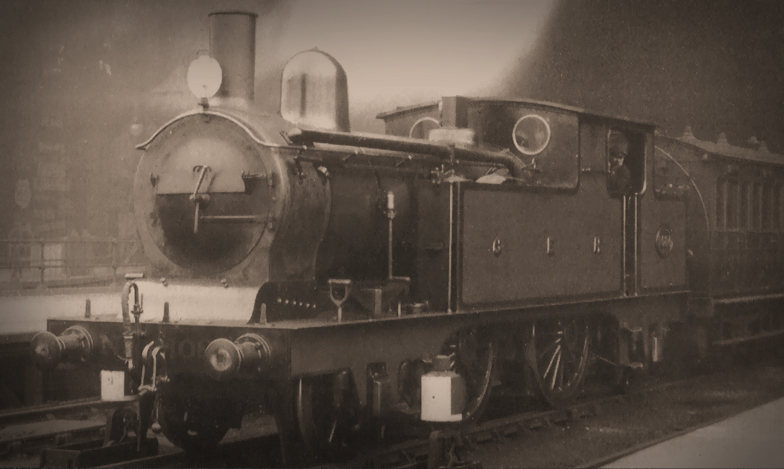 Reminds me of the GWR 517s, with all those mods and changes over the years. 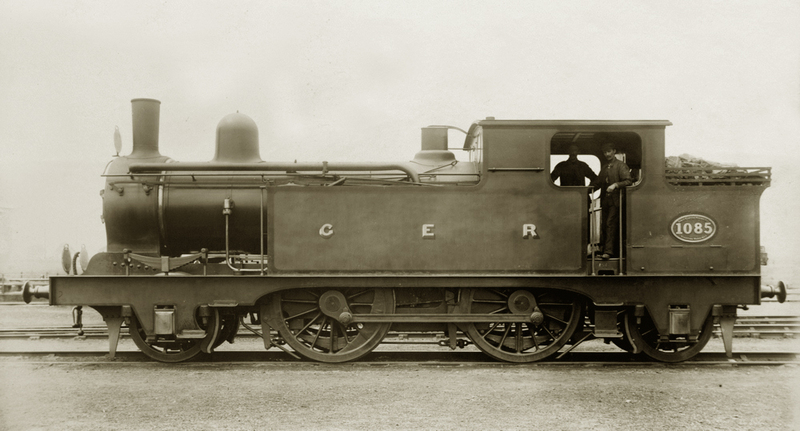 Steam locos are unique in that way, aren’t they – are there any other machines where each specimen changed so much over the years? I very much understand your fascination with that last shot of 1048 – it’s all there! I should think steam engines are unique in this way; nothing was sacred and could be replaced. 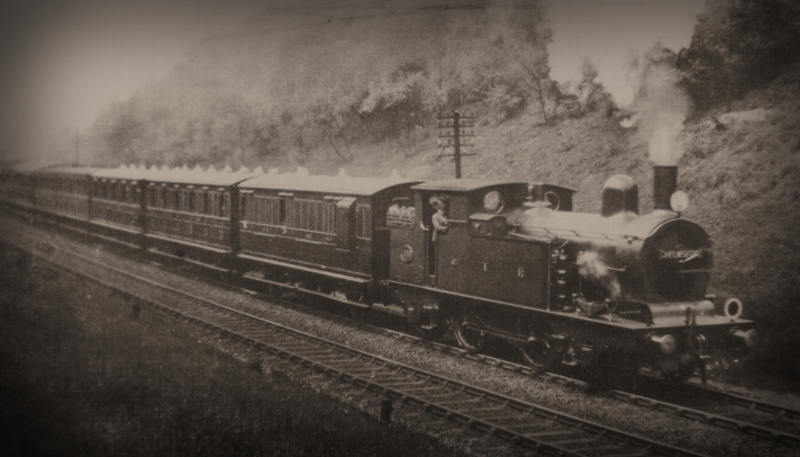 I know some consider the frames to define the engine, but on some locos even these were replaced. Just like the hammer with three new handles and two new heads you might wonder was it really still the same engine at withdrawal as it was when introduced to traffic. 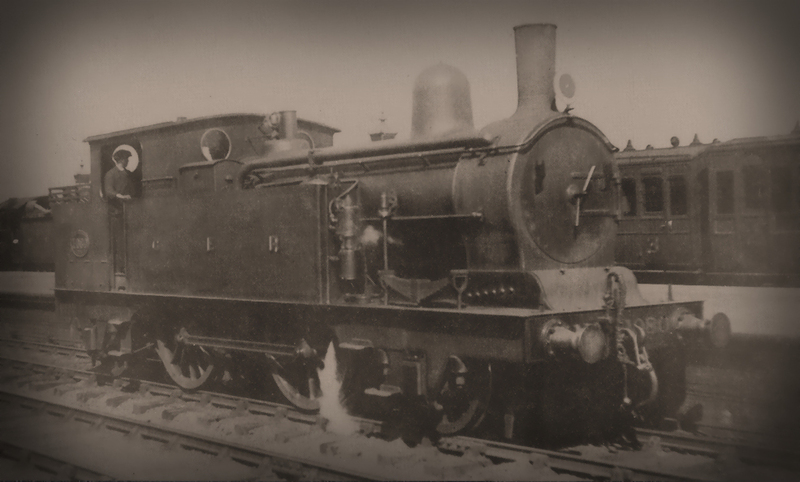 The other thing I like about the photo of 1048 is the same thing you see with many old GW photos of the period – an eclectic mixture of stock making up a set with several roof profiles and a mix of footboard heights (and look how warped they are too!). The GE wasn’t adverse to chuck in a clerestory or two in too…none of this immaculately matching up of styles which modellers are all too keen on. Yes, a fairly large slice of cake but this blog is like a good journal. In fact, any thoughts of publishing it all? Funny – you’re the second person to ask about publishing in the last couple of weeks. However, I think the subject is perhaps too broad in scope but also a rather niche interest – I don’t realistically see any publisher wanting to take the monster on, especially as it’s already free here on the net. However, long term plans include collating the various mini series’ into chapters accessed from the nav-bar at the top probably with pdf format printable copies, along with fluid contents and indices. As new chapters or revisions are produced you pull the old pages out of your file and drop in the new ones. All a very long way off though! 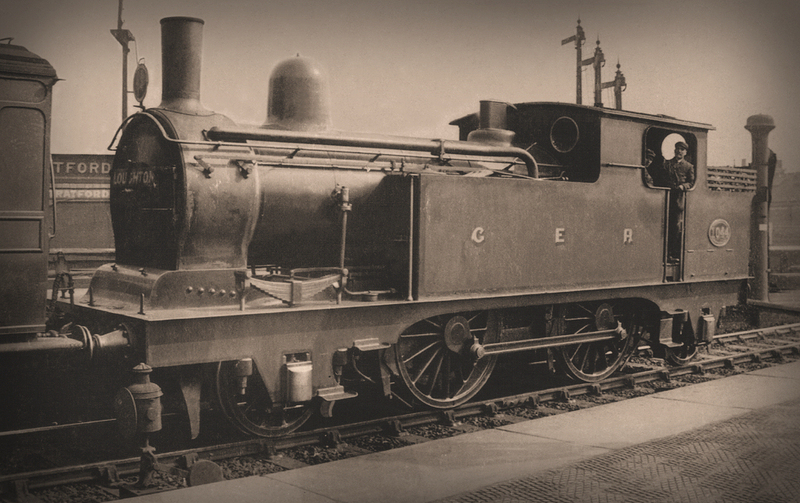 The C32’s have got to be my favourite of the 2-4-2 classes. Interesting to see some photo’s I’ve not seen before. Mention of the clearance problems reminds me that the S7 version I built had very little clearance between the backs of the flanges and the frames, about 0.005″ ! to allow the loco to go through pointwork on a particular layout. 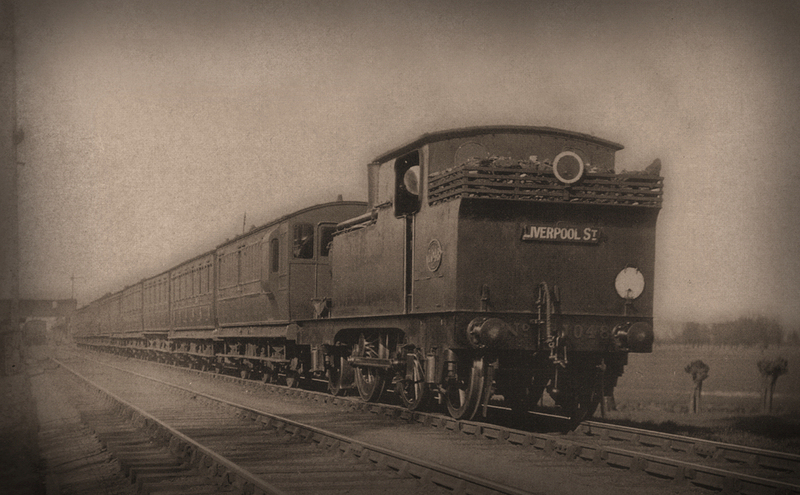 Years ago I had little interest in the C32 class, though I was modelling the late 50s and by then what the LNER classed F3 had all gone for scrap. It was the change to the pre-Grouping period where my appreciation for them grew, and they have become a favourite. Anyone interested in seeing Col’s superb model should follow this link.